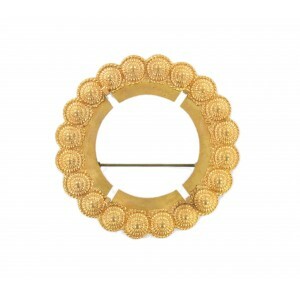 Brooch frame in brass. 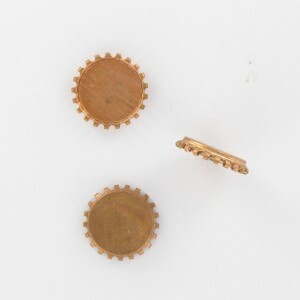 Pin fastener (missing). Sold by 10 pieces. 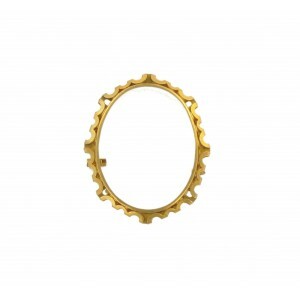 Brooch frame sizing 40 mm inside and 60 mm outside. Brass. 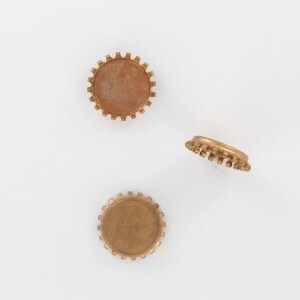 Pin fastener. Sold by 4 pieces. Round cup with curled edge, Tombak. Tombak is mainly made with copper (around 84 to 86 %) and zinc. Cup can be welded and metallized. Thickness : 3 mm. Sold by 20 pieces. Round cup with curled edge, Tombak. Tombak is mainly made with copper (around 84 to 86 %) and zinc. Cup can be welded and metallized. Thickness : 3,5 mm. Sold by 20 pieces. 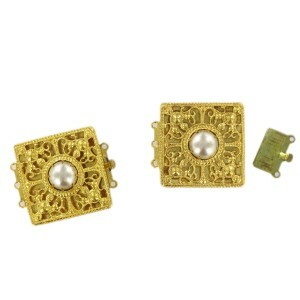 Gilded fastener with mother of pearl imitation cabochon. Thickness 10 mm. Sold by 2 pieces. 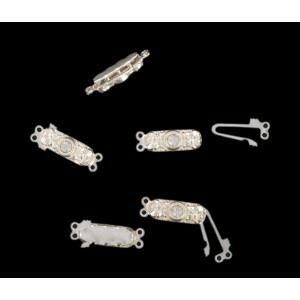 Nickel plated fastener with crystal stones. 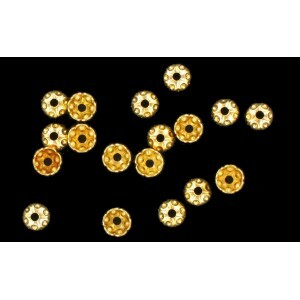 Thickness 8 mm. Sold by 4 pieces. 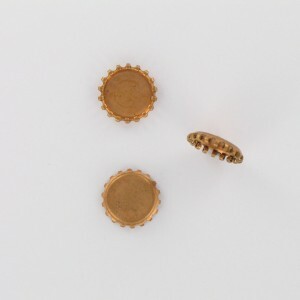 Bell cap gilded. Brass. Sold by 100 pieces. 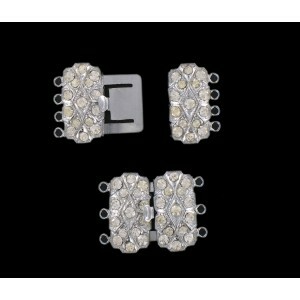 Silvered fastener with crystal stone. Sold by 10 pieces. 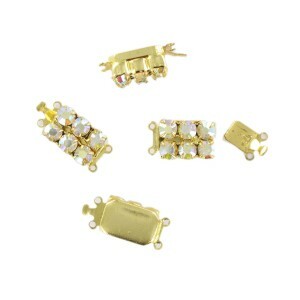 Gilded fastener with iridescent stones. Thickness 8 mm. Sold by 5 pieces. 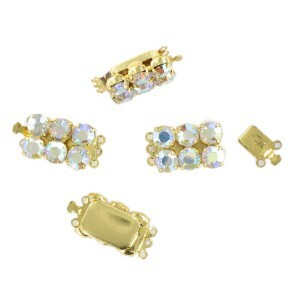 Gilded fastener with iridescent stones. Thickness 7 mm. Sold by 4 pieces. 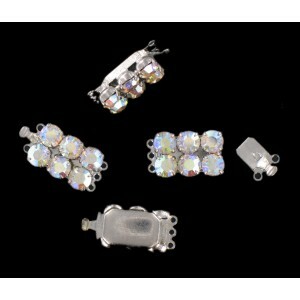 Nickel plated fastener with iridescent stones. Thickness 7 mm. Sold by 4 pieces.